Haven’t been able to get your hands on a Redmi Note 5 Pro yet? According to Lei Jun, Xiaomi’s co-founder and CEO, it’s just a demand and supply problem that they didn’t see coming. Comments on the streets range from it being a component shortage to third-party vendors with hacks to buy out the products. And it turns out, it’s a little bit of both. According to Lei Jun’s comments to India Today, the mismatch between demand and supply is a result of the company’s business model. In order sell their smartphones at a cost, where the profit margin is between 1 or 2%, the margin for error is very narrow. Lei Jun stated, "Everyone tells us why don’t we have a larger forecast from the beginning. But then, what if we can’t sell? We’ll go bankrupt. Because we have such thin profit margins, it wouldn’t cover the extra inventory cost in case we’re not able to sell it. We can withstand some 10-12% of buffer but not more than that." For the Redmi Note 5 Pro, specifically, there is a shortage of the camera module. Lei Jun reiterated that - "Sometimes we’re limited by the availability of key components as well." Supply is not only an issue with Xiaomi phones but also with Xiaomi’s Mi TVs. Their new range of smart TVs seems to have taken the country by storm since they offer a decent set of features at the cheapest prices in the market. The company even has its own jokes about the supply shortage, "If we had 10 million devices, we can sell all of them, that’s the joke at Xiaomi. But 10 million TVs is actually the annual shipment of India’s entire smart TV market a year." Though the company still has to function within the set business model, Jun believes that the issue is getting less complicated with local manufacturing coming into the fold. Not only has the Make in India venture saved the company 20% import tax, it has also aided in increasing inventory. The company also has two established smartphone manufacturing plants and, has announced the opening of three more. This should increase stocks for distribution even further. 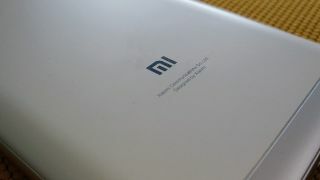 There are a total of six smartphone manufacturing hubs under Xiaomi now, including the one in Noida, Uttar Pradesh that was initially set up just for power banks. Overall, the production capacity of Xiaomi phones will increase from one smartphone per second to two smartphones per second according to India Today’s report. Jun assured that Xiaomi isn’t relaxed about this situation, "We don’t take ‘out of stock’ as a badge of honor." "We will ensure that Diwali will be a great supply season for everyone. We apologise to all the users and ensure that will seriously take care of the supply issue," he added. Besides this demand-supply issue, it seems that Xiaomi is well aware that phones are being bought from the website during the flash sales and then being sold at inflated prices. It was one of the main reasons why they removed the cash on delivery option for ordering the phone during flash sales. According to Manu Kumar Jain, the global vice president and managing director of Xiaomi India, "There are a few things that we’ve already done. First, one user can buy only one product over a period of one month on Flipkart." This means that even if the scalpers create new accounts, they’ll still be operating from the same IP address and same mobile number, which Xiaomi can use to block their access. "We’ve canceled as high as 40-50% of placed orders in some sales because we believe they were scalpers," Jain added. Not only is this an issue with online, but even offline retailers are asking for a higher price to guarantee the availability of phones. To this Jain said - "This is something that we don’t encourage and will not tolerate. If any of our authorised resellers are selling our products at a higher price and we come to know about, we will cancel our contract." Regardless of whether it's a publicity stunt, a supply issue or a re-seller hack, the Redmi phones being out-of-stock builds further hype around them. Whether or not it will lead to enough chagrin for customers to walk away from Xiaomi products is another story. A lot of phones are being launched in the budget segment to take on the Xiaomi Redmi series. Monday saw the launch of the Asus Zenfone Max Pro M1 which has the Snapdragon 636 and is priced at Rs 10,999. That undercuts even Xiaomi's price. Which Xiaomi phone should you buy?